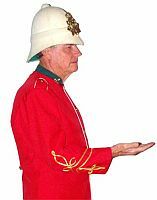 So why not let the “Redcoat” organise your tour? So why not let the “Redcoat” organise your tour? and where a tour agent is required the trip will be organised by reputable, professional agent. Visiting Battlefields at random can be very confusing unless you are very familiar with the history and it is far better to choose the conflict first and then the battles from that conflict or war. 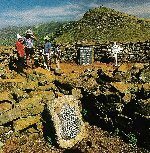 On the following pages you will find sample tours that can be taken in KwaZulu-Natal. These do not have to be strictly adhered to but they do give you a very good idea of what can be done. Dave has had an interest in the history of conflict and battles all his life so when he moved to Newcastle KwaZulu-Natal, in the heart of the Battlefields of KwaZulu Natal in 1983 it proved fertile ground for the furtherance of his hobby. 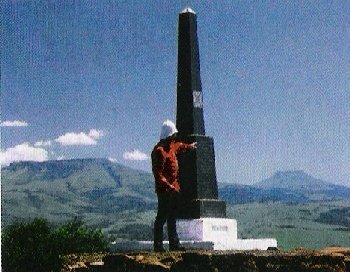 A hobby he has pursued with great interest for the last twenty odd years and he now covers Majuba and the 1st Transvaal War of Independence, the fateful Central Column and the Anglo-Zulu War as well as many of the Battles around Ladysmith during the Anglo Boer War. Dave moved to the UK in March 2015, but he has several enthusiatic colleagues and fellow Guides with whom he networks and with whom he can organise tours. He also gives talks and presentations on several of these battles.